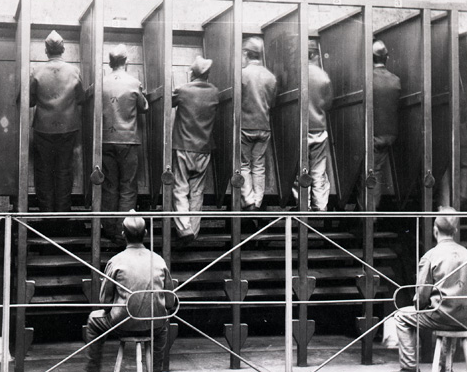 The inventive, torturous, and lucrative history of treadmills. I'll get back to him in a minute. 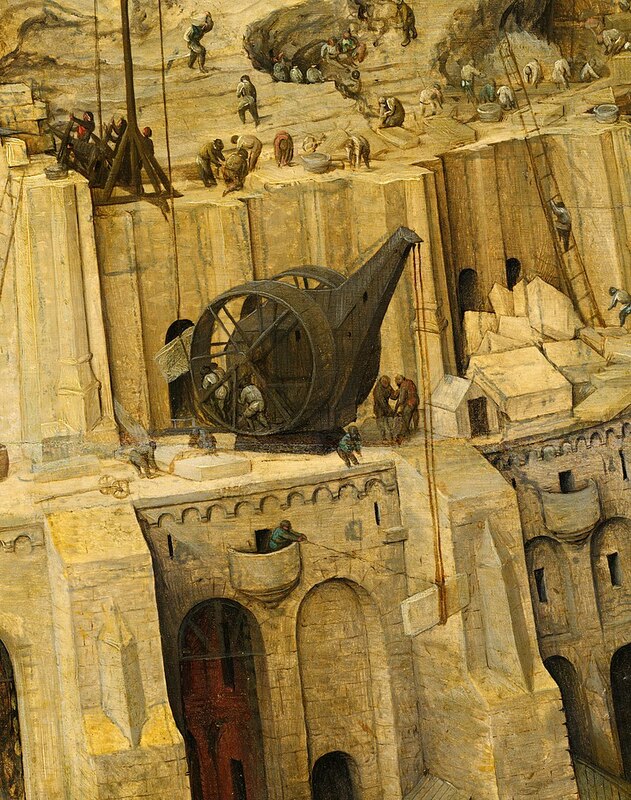 Detail from Pieter Bruegel's Construction of The Tower of Babel, illustrating a double tread wheel crane. People in the past who wanted to build stuff had a problem. Stuff, in most cases, is heavy and building implies stacking. 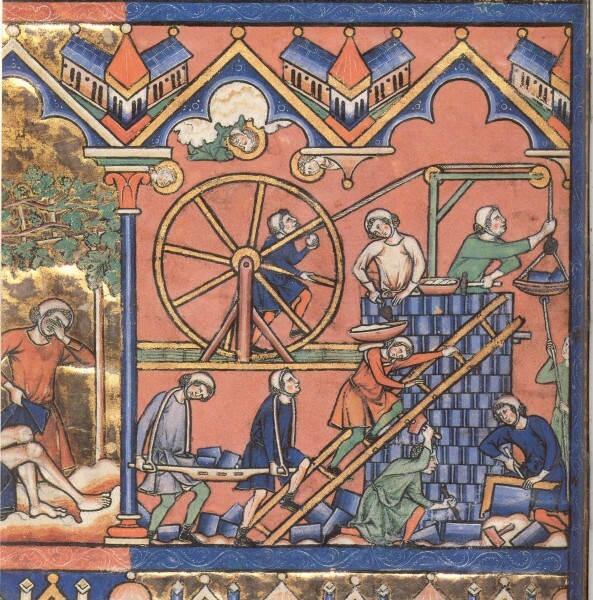 A color 13th-century drawing of a treadwheel crane. 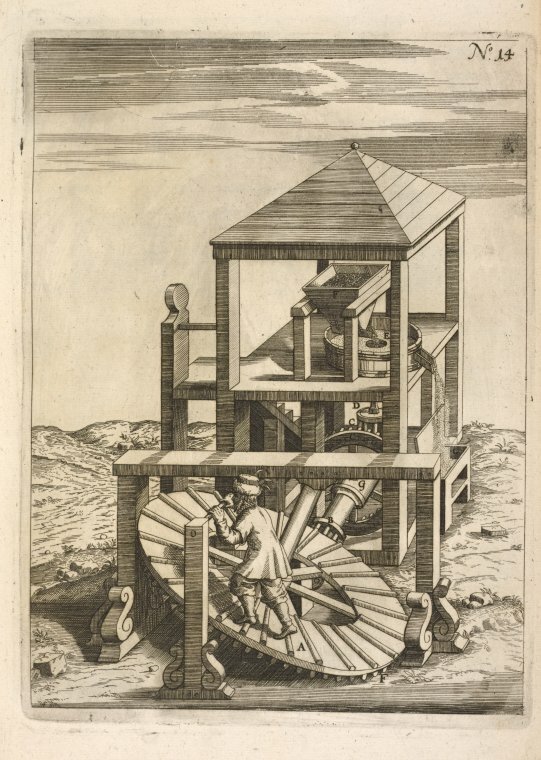 The Roman engineers are credited with adapting a Polyspastos Crane, fitted with human powered tread wheels, allowing two human hamsters to lift 6,000 kg. The design was used for another 2,000 years. People in the agricultural industry along with people who wanted to eat had a problem. Horse-powered threshing machine diagram. 1881. Planting, harvesting, and milling grain, even while oppressing a whole bunch of peasants, was no cake walk. The solution involved tread mechanization of mammal power and horse power was literal. Victorian era penal proponents had a problem. They were disturbed by the idle nature of convicts and concerned that incarceration was not nearly unpleasant enough. Kingston Prison opened in 1850. Prisoners were forced to climb 8,640 feet in 6 hours. Sir William Cubitt, an English civil engineer solved the hard labor issue in 1818 with the Tread Wheel. 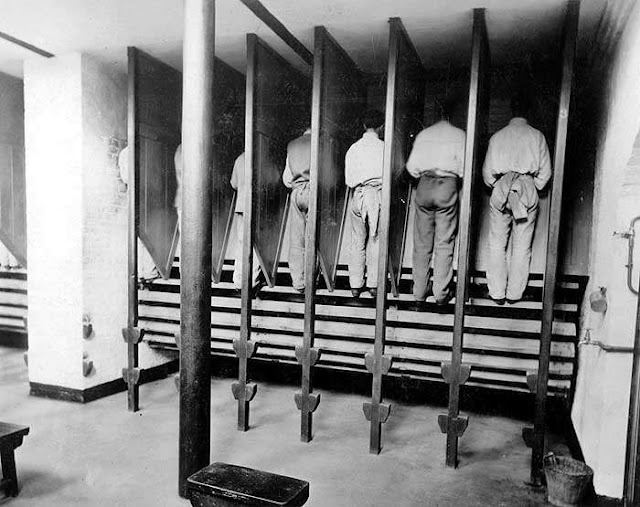 Also called the Everlasting Staircase, convicts would climb the steps of a large paddle wheel in eight to ten-hour shifts climbing the equivalent of 7,200 feet. The Prisons Act of 1898 abolished the wheel. 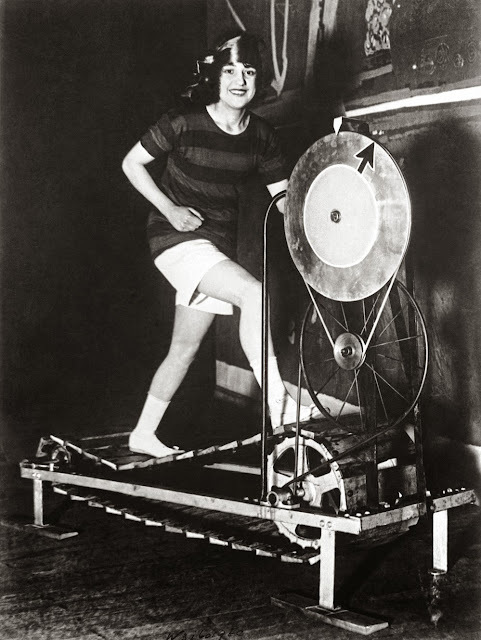 Treadmills became an extravagant novelty for the idle rich in the 1920s. The idle rich, while getting richer during the roaring twenties and prior to losing everything in the crash, had two problems. 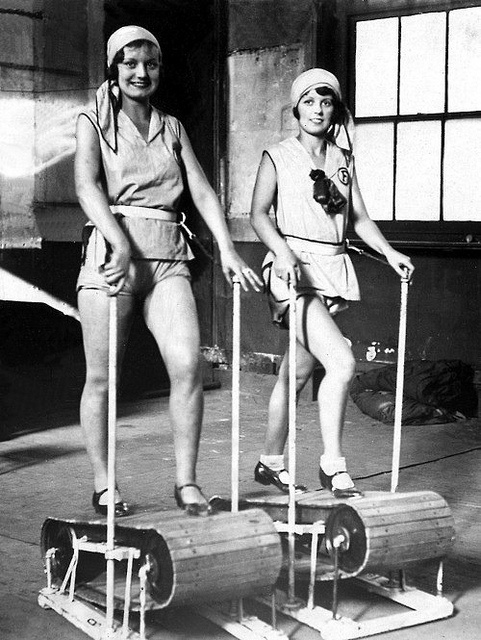 "The latest British invention for home exercise" London, 1923. 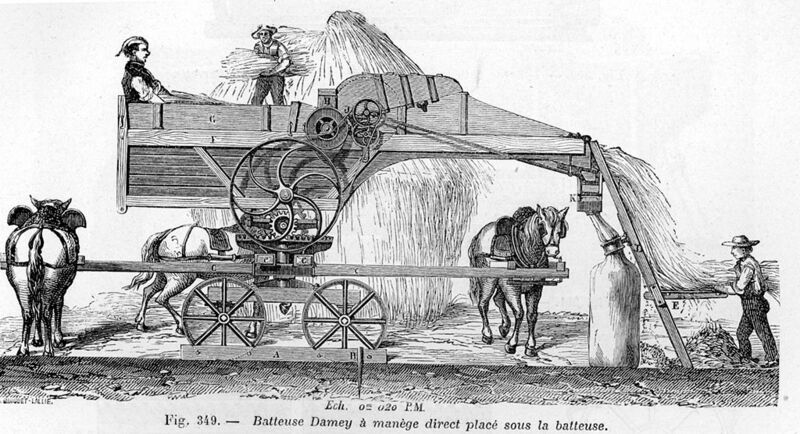 Improvement in the agricultural industry meant being broad in the hips was no longer a sign of wealth, and to demonstrate their wealth they continually needed conspicuous consumption of extravagant novelties. Treadmills held a promise to address both. The band OK Go gained popularity with the Youtube video Here It Goes Again, filmed in a single continuous take after seventeen attempts. The music video won the 2007 Grammy Award for Best Short Form Music Video and the 2006 YouTube awards for Most Creative Video. 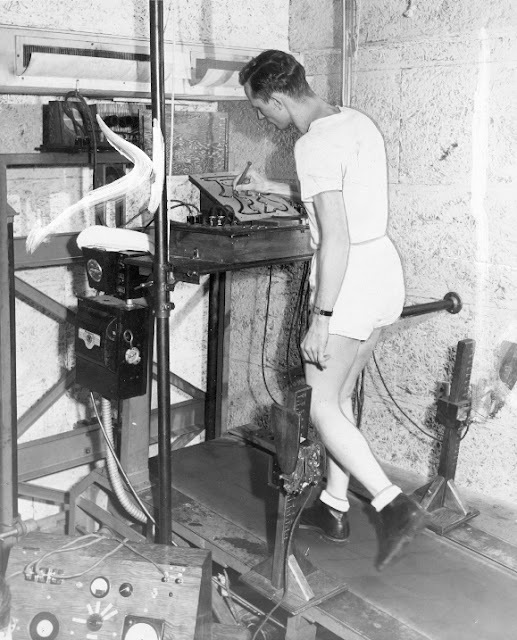 After making early designs in 1949, Dr. Robert A. Bruce continued improvements in monitoring cardiac functioning. Cardiologists and people not yet finished using their circulatory system had a diagnostic problem. With no standard and reliable test for cardiac functioning, medical providers had to rely on self-reporting. Dr. Robert A. Bruce, a cardiologist at the University of Washington, introduced a standardized stress test in 1952 by monitor cardiac function while the diagnosee built up a sweat on a treadmill. In the 1960s, Dr. Kenneth Cooper and William Staub, announced that people living in industrial countries had a problem and they had the solution. Cooper, a military physician, studied military personnel who engaged in various amounts of activity. He created the term "Aerobics" and determined that most people engage in too little of it. 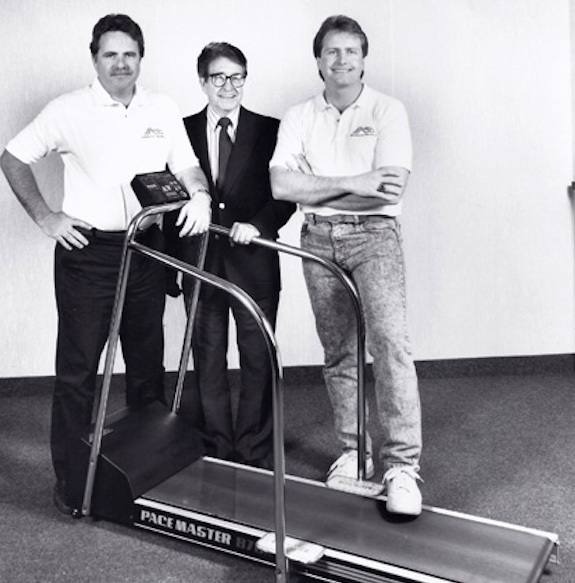 Staub invented the first affordable and widely available treadmill, the PaceMaster 600, partially funded by Cooper's company, Aerobics, Inc. In 2014, emergency care treated 24,400 injuries associated with treadmills. The report cautioned that old people and drunk people were the most likely to fall while using a treadmill, (no mind blowing information there), but most injuries were related to damage from overuse. 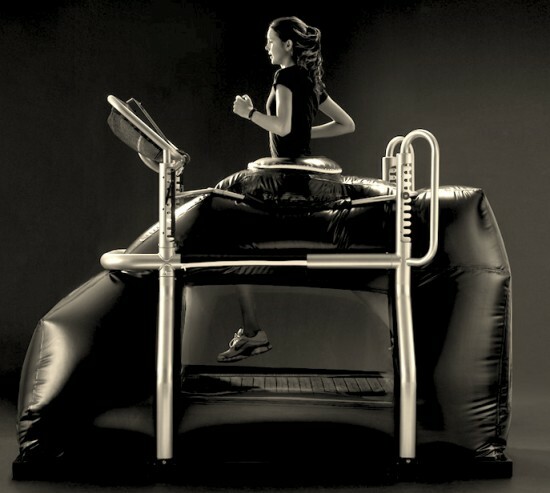 The AlterG Anti-Gravity Treadmill, originally designed by NASA. 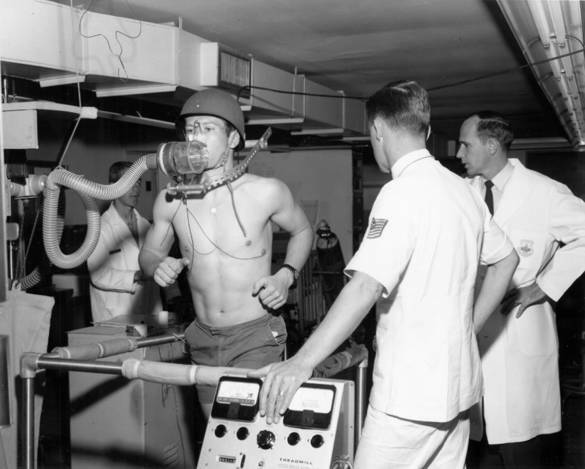 At a cost of $35,000 to $75,000 the treadmill can "unweight" up to 80% of a person’s body, "allowing for stable support, unencumbered movement, and continued training through injury." In 2016, treadmill accounted for 40 percent of a US $3.5 billion fitness equipment industry. Not to miss out on the industry, problems with canine cardiovascular health have become a financially resolvable concern. 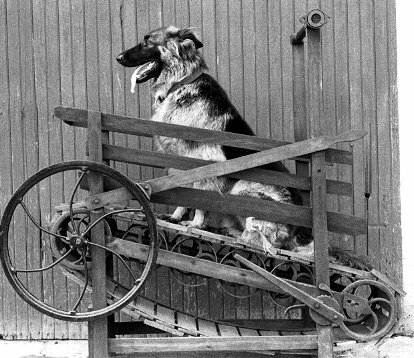 GoPet Dog-Powered Tread Wheel. $1,540.99 at Amazon with free shipping. 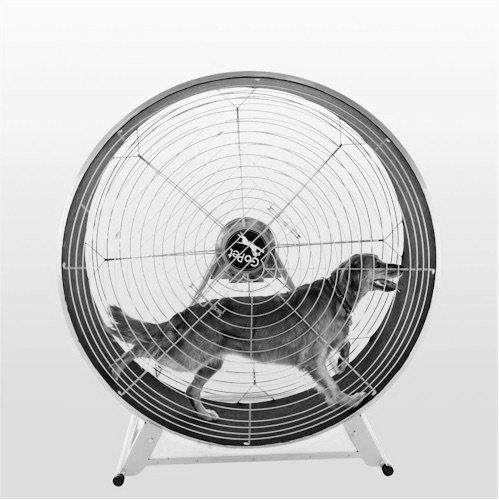 Dogtread provides a handy chart for pet treadmill comparisons. Maggie the Dog has not fully committed to working out. This guy has nothing on Uptown Funk Treadmill Dancer Carson Dean, but I love that he adds some moves to his workout. Does Sighing Count As Exercise? Why I can't go to the gym.